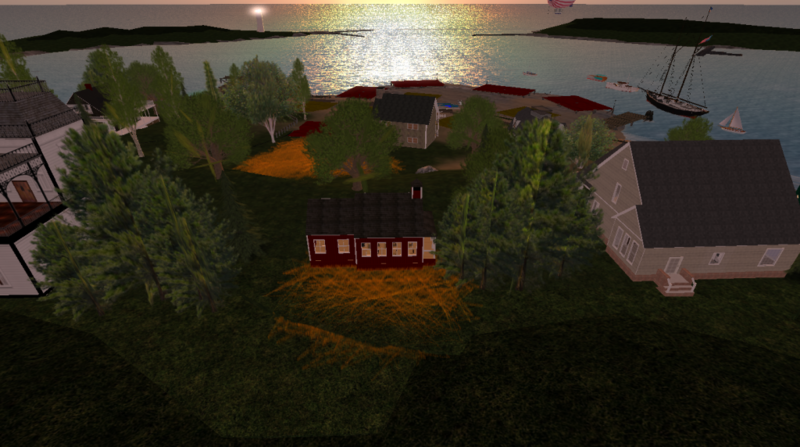 Scituate is taking shape on the ground, and we are very excited to share the experience with visitors and residents in SecondLife. You can teleport there by following this link. Well its another Fourth of July and the fireworks are out in force – What better way to compliment that than a Blimp! I took a break from comissions and doodled this in about 2 hours. Many were given away for the holiday events. This blimp will carry 6 passengers and has been tested to cross grid cruise in style!